Dr Crocker joins the department as Professor and Ohio Eminent Scholar in Social Psychology. She studies self-esteem, contingencies of self-worth, and the costs of pursuing self-esteem as a goal. 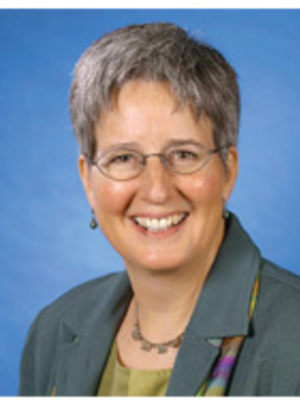 Dr Crocker joins the department after serving as the Claude Steele Collegiate Professor of psychology at the University of Michigan. Canevello, A., Granillo, M. T., & Crocker, J. (2013). Predicting change in relationship security: The roles of compassionate and self-image goals. Personal Relationships. Crocker, J., & Canevello, A. (2012). Consequences of self-image and compassionate goals. In P. G. Devine & A. Plant (Eds. ), Advances in Experimental Social Psychology, pp 229-277. New York: Elsevier. Niiya, Y., Brook, A. T., & Crocker, J. (2010). Contingent self-worth and self-handicapping: Do contingent incremental theorists protect self-esteem? Self and Identity, 9, 276-297. Canevello, A., & Crocker, J. (2010). Creating good relationships: Responsiveness, relationship quality, and interpersonal goals. Journal of Personality and Social Psychology, 99, 78-106. Crocker, J., Canevello, A., Breines, J. G., & Flynn, H. (2010). Interpersonal goals and change in anxiety and dysphoria: Effects of compassionate and self-image goals. Journal of Personality and Social Psychology, 98, 1009-1024. Moeller, S. J., Crocker, J., & Bushman, B. (2009). Creating hostility and conflict: Effects of entitlement and self-image goals. Journal of Experimental Social Psychology, 45, 448-452. Moeller, S. J., & Crocker, J. (2009). Drinking and desired self-images: Path models of self-image goals, coping motives, binge drinking, and alcohol problems. Psychology of Addictive Behaviors, 23, 334-340. Crocker, J., Olivier, M.-A., & Nuer, N. (2009). Self-image goals and compassionate goals: Costs and benefits. Self and Identity, 8, 251-269. Niiya, Y., & Crocker, J. (2008). Mastery goals and contingent self-worth: A field study. International Review of Social Psychology, 21, 135-155. Garcia, J. A., & Crocker, J. (2008). Coping with the stigma of depression: Egosystem and ecosystem goals. Social Science and Medicine, 67, 453-462. Breines, J. G., Crocker, J., & Garcia, J. A. (2008). Self-objectification and well-being in women’s daily lives.Personality and Social Psychology Bulletin, 34, 583-598. Crocker, J., Brook, A. T., Niiya, Y., & Villacorta, M. (2006). The pursuit of self-esteem: Contingencies of self-worth and self-regulation. Journal of Personality, 74, 1749-1771. Sargent, J. T., Crocker, J., & Luhtanen, R. K. (2006). Contingencies of self-worth and symptoms of depression in college students. Journal of Social and Clinical Psychology, 25, 628-646. Park, L. E., & Crocker, J. (2005). The interpersonal costs of seeking self-esteem. Personality and Social Psychology Bulletin, 31, 1587-1598. Crocker, J., & Knight, K. M. (2005). Contingencies of self-worth. Current Directions in Psychological Science, 14, 200-203. Luhtanen, R. K., & Crocker, J. (2005). Alcohol use in college students: Effects of level of self-esteem, narcissism, and contingencies of self-worth. Psychology of Addictive Behaviors, 19, 99-103. Niiya, Y., Crocker, J., & Bartmess, E. (2004). From vulnerability to resilience: Learning orientations buffer contingent self-esteem from failure. Psychological Science, 15, 801-805. Crocker, J., & Nuer, N. (2004). Do people need self-esteem? Comment on Pyszczynski, et al. (2004). Psychological Bulletin,130, 469-472 . Crocker, J., Sommers, S., & Luhtanen, R. (2002). Hopes dashed and dreams fulfilled: Contingencies of self-worth in the graduate school admissions process. Personality and Social Psychology Bulletin, 28, 1275-1286.